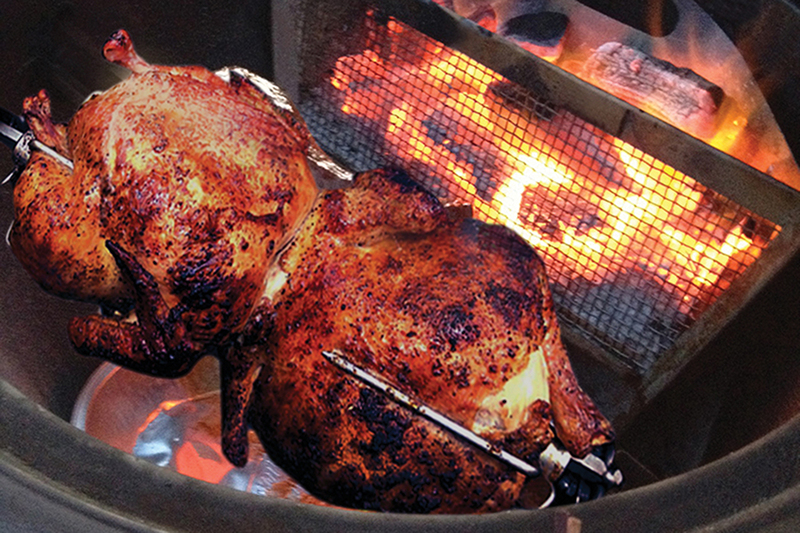 Wash and brine your chicken with your favorite dry brine and place on the rotisserie rod. Truss the chicken once it’s on the rod and use pliers to tighten the fork screws. Prepare the Caliber Pro Kamado Smoker by filling the blaze basket accessory 3/4 full of lump charcoal and a handful of apple chips at the top. Put a drip pan at the bottom of your grill to catch the juices for use as a baste after the chicken is cooked. Wear heat protective gloves when inserting the rotisserie rod and chicken. Let the rotisserie run for about an 75 to 90 minutes while basting with olive oil periodically. 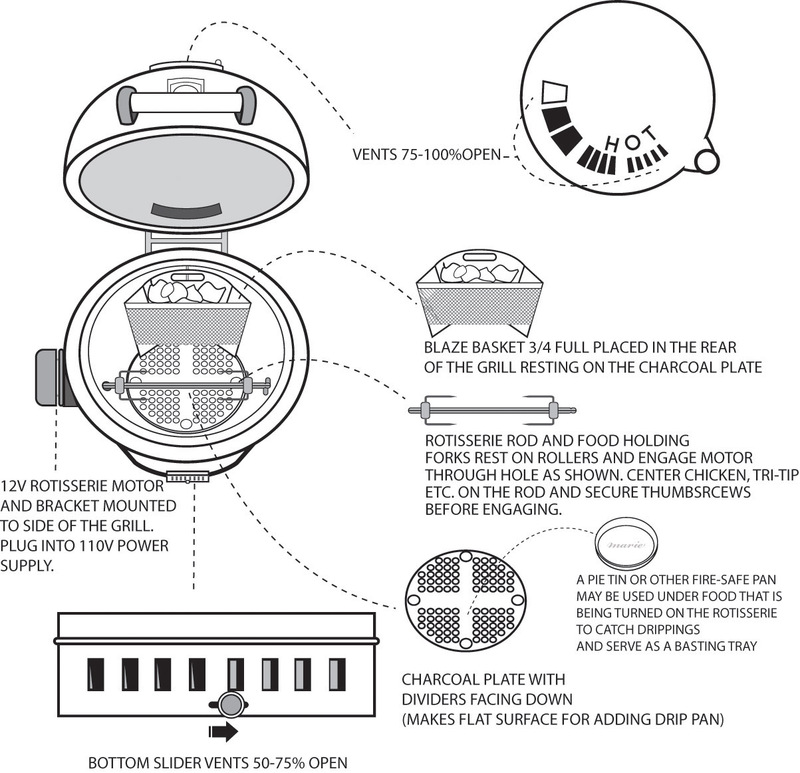 To check the doneness, turn rotisserie motor off and insert the thermometer into the thickest part of breast with temperature reaching 165 (+/- 5 degrees). Rotisserie chicken on the Caliber Crossflame Silver or Pro gas grill should be cooked on HI initially, and then MED once skin darkens. Cook time and doneness is similar to cooking on the Pro Kamado. Enjoy! See these chefs cooking rotisserie chicken on the Caliber Pro Kamado: Chef Sam the Cooking Guy, Chef Jehan of Albano Appliances, and Chef Senor Smoke of Curtos Appliances.